﻿﻿Chal﻿k it up to the fact that I was eleven years old exactly when J.K. Rawling famously published the first Harry Potter book (and Harry was eleven years old then too), or the fact that I was once an English major and love using cool (British) words, like pasty. Or that on our trip to London this past summer, the Cornwall Pastry Company had little street-shops everywhere, or that the origins of the Cornish Pasty are just lovely (Wives made them for their miner husbands who could fit them in their pocket all day while they worked, and they’d still be warm at lunchtime). So maybe it’s for one of those reasons that I’ve always wanted to make Cornish Pasties. 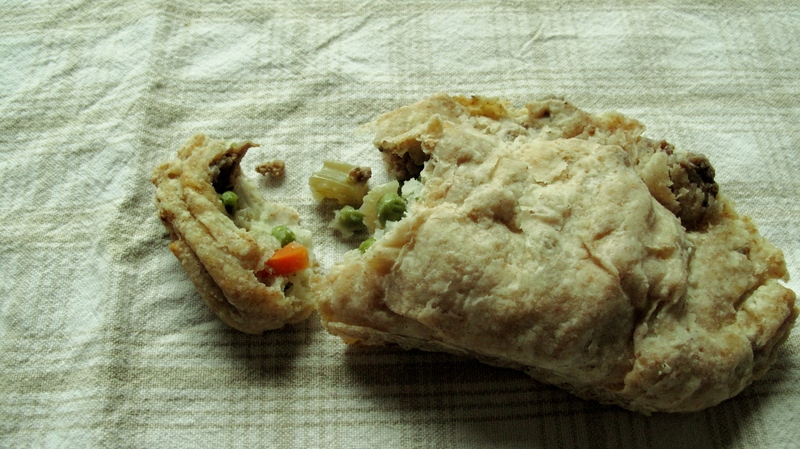 It’s not that the idea of a modest savory-hand-pie ever seemed all that elaborate. Or that the simple hearty ingredients seem somehow more exquisite than others. But I’ve just had a sort of tug to make them. And now–with the cold, and the fog, and the rainy mist settling in–with all the pretty leaves falling from our trees–it just seems the perfect time to finally attempt a classic. And after they were baked, and we gobbled them up. I felt a sense of contentment. Of connection. To perhaps my past. To a lovely weekend in the summer months. To a time in my life when I could fall into a world of childish delight and forget that everything else existed. And be comforted. As the damp and the darkness of the coming months presses against our windowsills. 1. Make the dough by cutting butter into the flour with hands or pastry cutter. Add the water, and form into a ball with hands. Keep cool until ready to use. 2. Make the filling. ﻿Brown meat and onion in a pan with salt and pepper to tase. Turn off the heat when the meat is cocoked through and the onion is transparent. 4. Assemble the pasties: Roll the dough onto a floured surface until rougly 1/4 inch thick. Use a bowl or small saucer as your guide and form circles of dough. Arrange circles on baking sheet. Top pastry circles with a thin layer of mashed potatoes, meat, and veggies, and then brush the edges of the pastry with beaten egg. Fold one half over onto other half to form a half circle, and crimp edges to prevent spillage. 5. Bake for about 35 minutes. 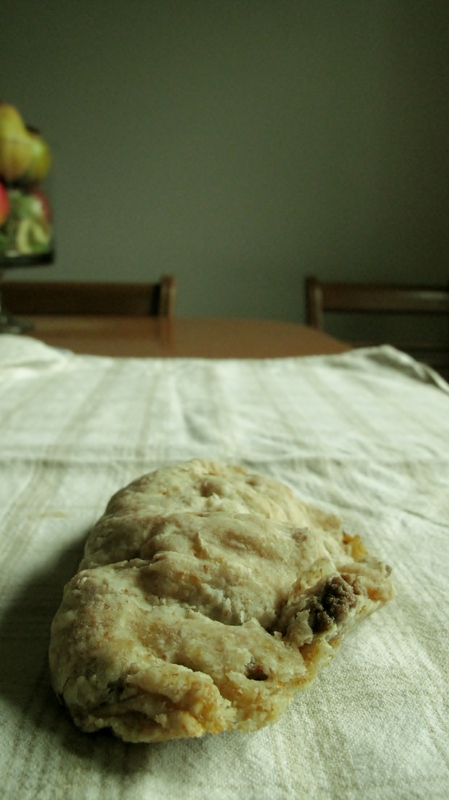 Note: Rumor has it that traditional pasties are made with all of the filling being raw before baking.